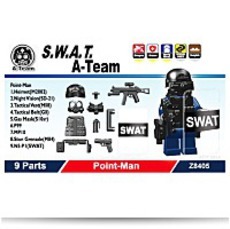 The SWAT Point-Man Set includes: 1. 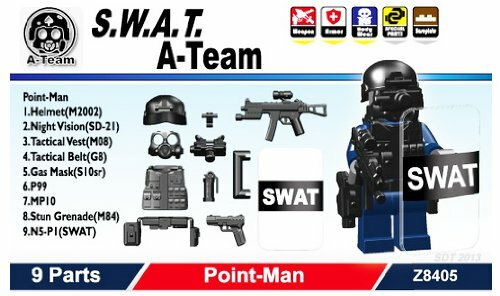 N5-P1 (SWAT) Tactical Belt (G8) 5. Gas Mask (S10sr) 6. Stun Grenade (M84) 9. P99 7. Night Vision (SD-21) 3. MP10 8. Tactical Vest (M08) 4. Helmet (M2002) 2.